Electronic music with exotic sounds. 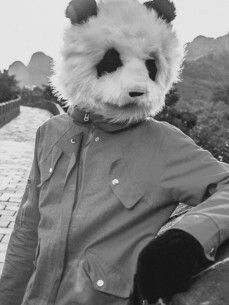 Steo Le Panda brings together sounds of unusual instruments like the guzheng, pan flute, or bamboo drums with the synths and drum machines of electronic music. But producing music is only the beginning, the real deal is to see the true nature of the panda and that only happens when Steo plays live with 4 Ableton iPads! Thanks to his total control over the different elements of his music, Steo Le Panda delivers unique and original experiences, full of emotions and surprises!